This field guide has a special place in my heart, and also in the bird-mobile. This is my mobile bird guide and is always with me if I happen to be driving. It also was my very first field guide and having the “New Durable Field Binding” has proven to be a handy little extra. I don’t know what your feelings are concerning photographs over artist impressions, however for me this is the gold standard of field guides. My edition was copyrighted in 1980. 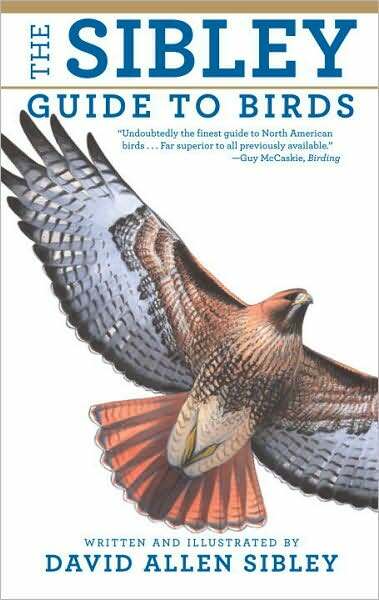 The first time I saw this field guide was while I was in Nashville Tennessee attending a Boy Scout training course with several Scouters, and one being my birding buddy, Phil. We had just finished eating and we decided to visit the local R.E.I. store not too far from the restaurant. That was about 5 years ago and I remember debating whether to pay the hefty $28.00 dollars. It wasn’t easy to walk away from this book, but I’m glad I did. Flash forward a couple of years and guess what I find at my local Half Price Book Store? You got it, the above mentioned field guide at half the suggested price. Sweet deal! This is the field guide I will always carry with me whenever I’m out birding. My edition was copyrighted in 2008. My daughter Laura gave this to me for Christmas in 2010, and I still haven’t embraced this book with the same gusto as others have. 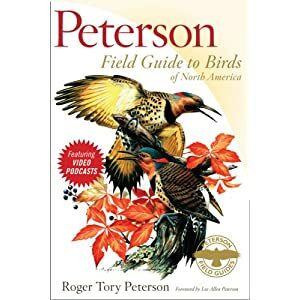 The guide is roughly the same size with the great durable field binding as my 2 Peterson field guides, however there’s something about it I don’t like. Is it his rendition with the palette that I don’t like? 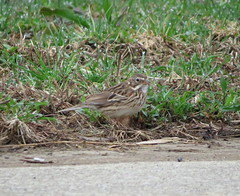 Or the fact that the size of the birds pictured are a bit small? 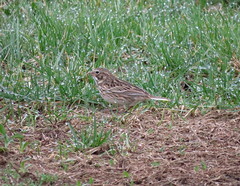 The book is laid out just the way I like it, with all the vital information for the birder. Maybe what I should do is quit reaching for the Peterson and grab the Sibley when I go out the door and give it a fair evaluation. My edition was copyrighted in 2000 with my specific edition being the 11th printing done in 2010. When this brick of a field guide hit the market, it made a giant splash in the birding community. Not being a fan of field guides that use photographs I needed a lot of convincing before I laid out $27.99 for this book. So I read review after review and was finally convinced. I had a gift card from Border’s Book Store and used it to order my edition on-line. Now granted this is a pretty thick book, however in spite of the weight this is the only photographic field guide that was worth every penny. I love it! The only draw back are the tiny range maps, which for some people isn’t a big deal. When I go on extended birding trips or road trips this will always go with me. I have the First Edition, copyrighted in 2010. Here’s another great field guide where the artist has what I consider a remarkable eye for painting birds. Next to the Peterson guides, this is a strong number 2 for what I need in a field book, except that durable field binding. Not every bird has a range map associated with it, but sometimes that’s alright when the overall quality out-weighs it’s faults. 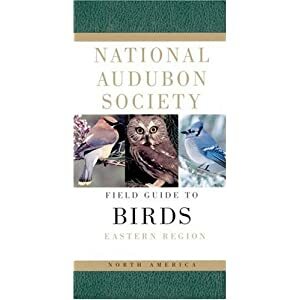 There have been several editions and revisions to this field guide, and seems to be a waste of money to purchase everyone as it comes out. Therefore I have the 1st edition from from 1983 that I found at the Cincinnati Public Library warehouse sale, and the 4th edition from 2002. I bought my first Audubon Field Guide a long time ago as a budding young birder. 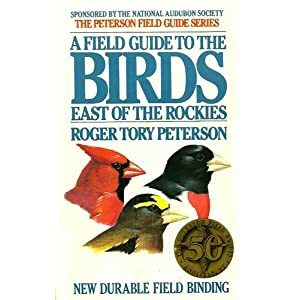 It was a great size and even though the binding wasn’t as durable as my Peterson guide, it was tough enough for the kind of birding I was doing at the time. I took it out into the field on several occasions and was never happy with it. During my early years as a birder I became accustomed to the artistic rendition of birds, than the photograph. 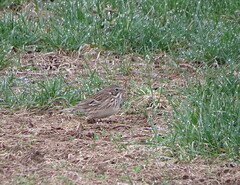 And the picture of the bird is separate from the text and range map. So once you find the bird, you have to thumb through the pages to find the appropriate description. I personally don’t like this field guide, and never use it. My first copy is copyrighted in 1977 and my second copy is copyrighted in 1994. My first copy is one I bought myself, and the second one was a present. 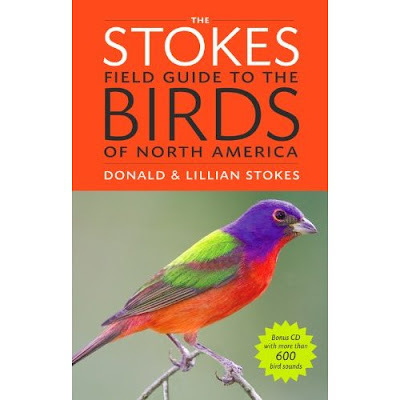 This little powerhouse of a field guide was a great addition to my arsenal of bird guides. 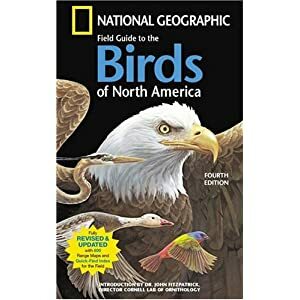 I first found out about this book while birding with a couple of friends and one of them used it to help ID a warbler we were having trouble identifying. 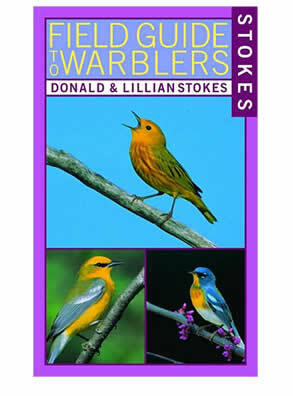 Easily stowed into any field bag, this book has everything you need to reference all your North American warbler species. Great pictures with large range maps, they also have pictures of the underneath of each warblers tail, since that’s all you sometimes get to see when you’re looking up at them. A must have. My edition was copyrighted in 2004.